Soft light and adorable outfits! Love this look that mom came up with for their sibling session and the little sisters one year pictures. Their beautiful dresses and flower crowns give such a fun Boho feel to their shoot. Paired with a local park with a wooded area and some gorgeous sunset light coming through them and you get a … Continue reading Soft light and adorable outfits! A few years ago I did Victoria's senior pictures. Then I had the pleasure to photograph the whole gang for their Christmas cards and an updated family pic. They are such a fun group...see the "dab" pic! Check out some of these great shots. 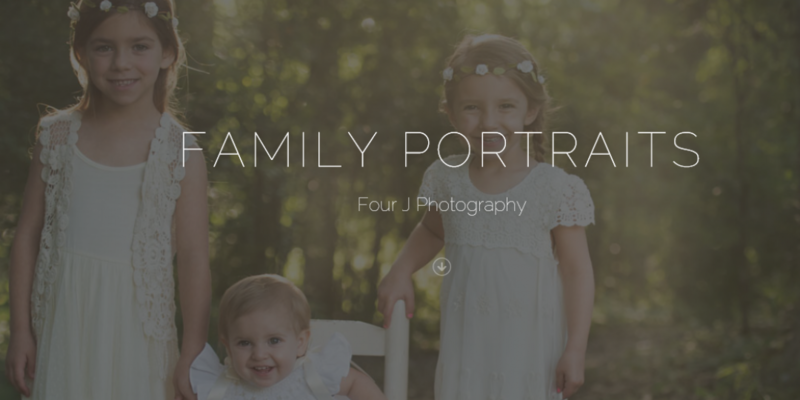 Book your family session with Four J today! These two gals were gorgeous in front of my camera!